On Monday November 7th, architectural historian Andrew Leach (Griffith University, Australia) will give a public lecture about two book projects: his recent publication What is Architectural History? (Cambridge, 2010) and one that is still in the making. Andrew Leach is a Senior Lecturer in Architecture at Griffith University, where he also holds an Australian Postdoctoral Fellowship. He studied history of art and history of architecture at Victoria University of Wellington, earning his doctorate from Ghent University in 2006. He has held academic positions and fellowships in New Zealand, Belgium, Italy and Australia, where he has been based since completing his work at Ghent. 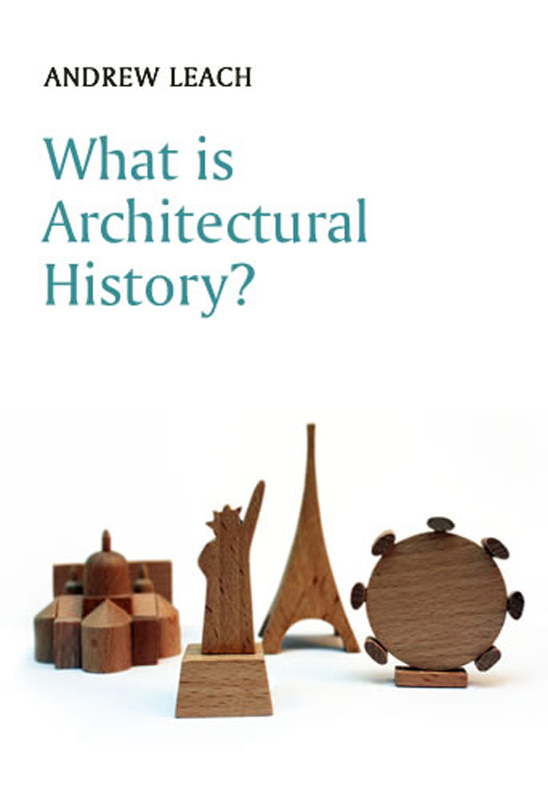 Among his books are Manfredo Tafuri: Choosing History (Ghent 2007) and What is Architectural History? (Cambridge 2010), as well as the edited volumes Architecture, Disciplinarity, and the Arts (Ghent 2009) and Shifting Views: Selected Essays on the Architectural History of Australia and New Zealand (St Lucia, Qld 2008). From 2006-2009 he was co-editor of Fabrications: The Journal of the Society of Architectural Historians, Australia and New Zealand. His current writing concerns the uses made of the baroque subject in twentieth-century Italian debates on the tools and tasks of history and the role of the historian in architectural culture. His spare time is spent trying to understand the Australian city of Gold Coast, on which he has also started to write. The lecture is open to the public, but please register by sending an email to n.j.vanderkolk@student.vu.nl. You will receive a confirmation of the room number in due time. Andrew Leach will also be giving the keynote address at the Architectural History as [Applied] Science Symposium, taking place in Leuven (Belgium) on November 9th & 10th. Other speakers and respondents include our very own Freek Schmidt, as well as one of VU’s former lecturers in Architectural History: Petra Brouwer (now Assistent Professor of Architectural History at UvA) and many international guests. The symposium is organized on the occasion of Prof. Luc Verpoest’s retirement from the KULeuven. After graduating as an architect-engineer in 1969 and the completion of a PhD in 1984 at the KULeuven, Luc Verpoest took up a professorship in architectural history, 19th-20th centuries, and history and theory of conservation at the same university. He taught several generations of students and developed research on the history of architectural education, the Belgian catholic Gothic Revival, the history, theory and practice of conservation in Belgium. Furthermore, he is active in the Raymond Lemaire International Centre for Conservation, is chairman of Monumentenwacht Vlaanderen and co-founder of DOCOMOMO Belgium. 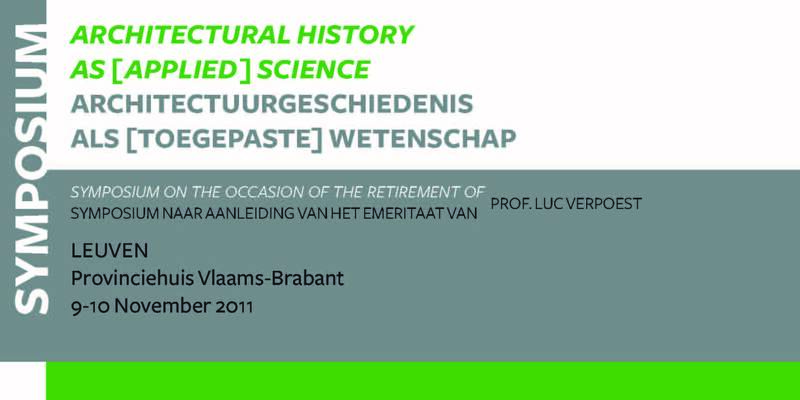 His alumni, colleagues and friends took the initiative to organize a symposium on architectural history as [applied] science following Luc Verpoest’s retirement on 1 October 2010.